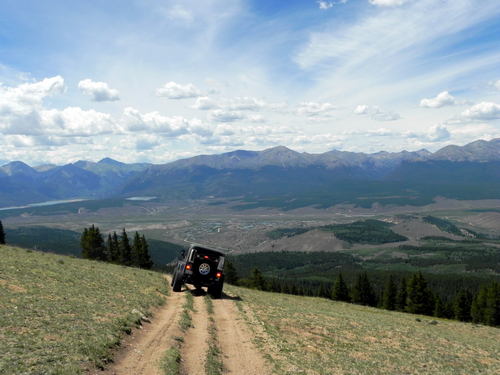 This is a fantastic day of Jeeping southeast of Leadville! 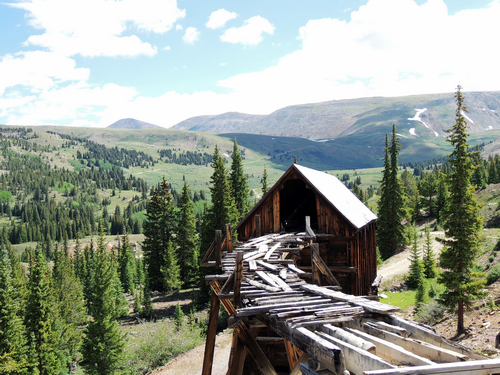 You will visit part of the historic mining area above Leadville, view numerous old mine buildings, experience two areas of high alpine Jeeping and pass by Empire Reservoir. 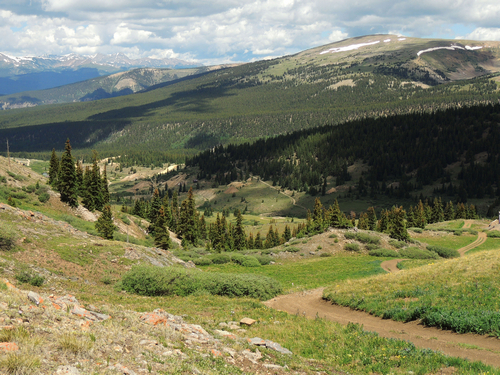 Start on the Mosquito Pass Road above Leadville. 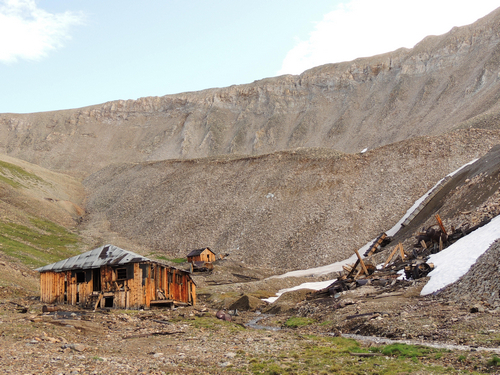 This Jeep trail will take you by a portion of the mines and buildings in the South Evans Gulch mining area. There are many more areas to explore at another time. Look over the area then head up Alps Gulch to the saddle between Ball Mountain and East Ball Mountain. Leave the saddle and pass by a bunch of mines on your way to Iowa Gulch. There will be a short stretch of paved road. 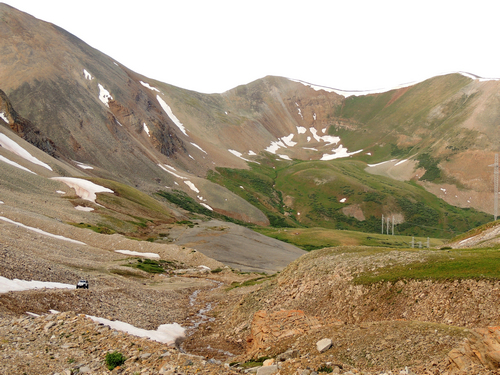 This leads back to Leadville and could be used to divide this run into two trips if desired. 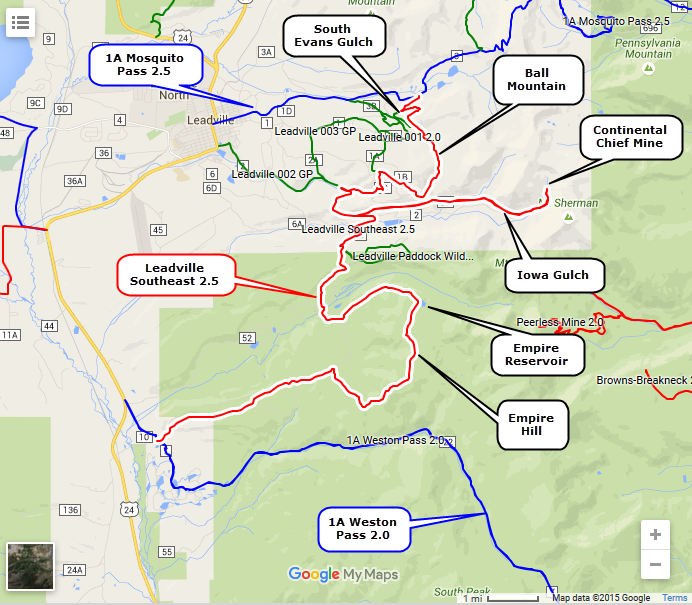 Iowa Gulch looks like a long in-and-out road on the map but don't let that worry you. All but the last half mile is a (rough) passenger car road and does not take much time. Iowa Amphitheater is a beautiful spot with a 2.5 road leading up to the Continental Chief Mine. The main building has walls covered with newspaper. One had a 1979 date, so that tells the age of the mine. 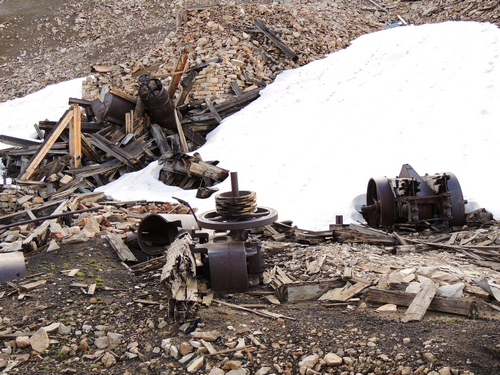 There is quite a bit of equipment left behind. 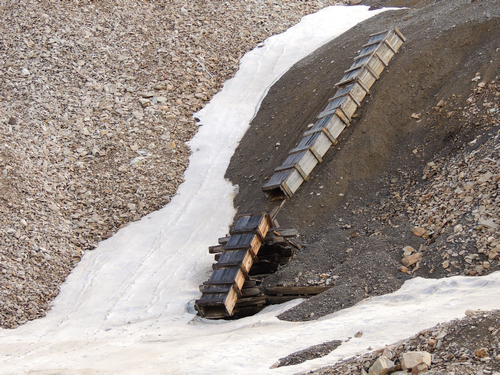 We found the chute (?) to be unusual. 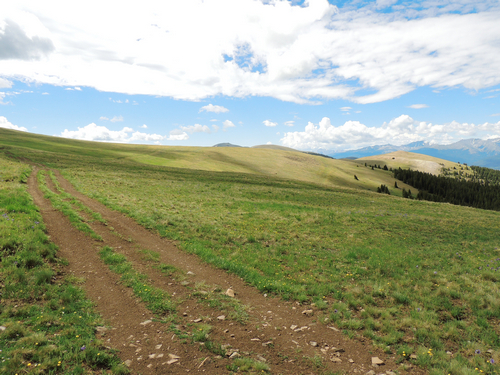 Go back to the paved road and follow the track to Empire Reservoir. 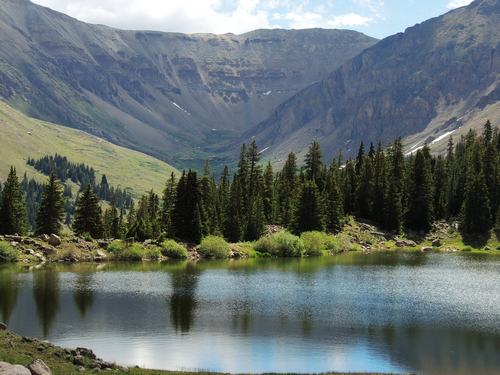 This is a beautiful lake with Empire Amphitheater in the background. 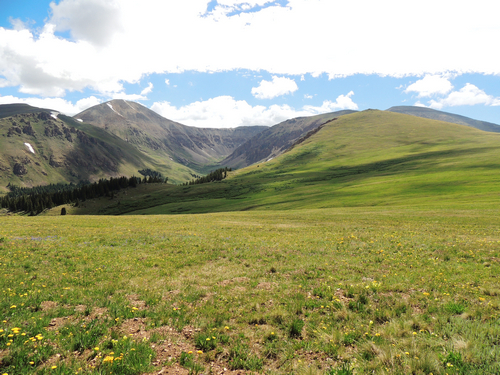 Pass through the gate and into a high alpine meadow. You are now up on Empire Hill. 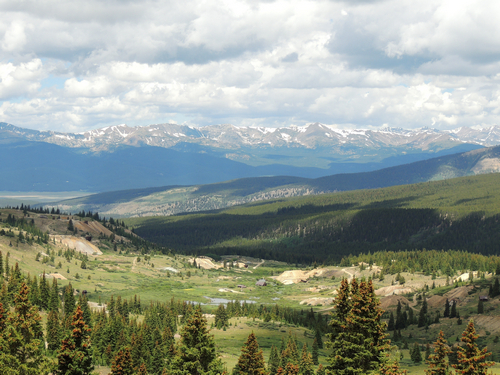 Enjoy the view before you drop down to the valley below.